Is Knee Pain Limiting Your Lifestyle? Knee pain is a problem we often see. Whether you spent too many years being rough on your knees or additional weight has put extra pressure on your joints, suffering from knee pain daily can be maddening and truly limit your lifestyle. The knee is one of the most complex joints in the body and one that you depend on daily to do something as simple as walk around. When your knees cause pain, the last thing you might want to do is any exercise. However, strengthening and rehabilitating the knees can reduce stress on the joint and lead you to a pain-free life. Did you know that every pound of excess weight exerts about 4 pounds of extra pressure on your knees? That means that a person who is just 10 pounds overweight is putting 40 pounds of extra stress on these complex joints. If a person is 100 pounds overweight, that’s an additional 400 pounds of pressure! Many people avoid physical activity when they’re suffering from knee pain but improving mobility and focusing on low-impact movements can drastically reduce discomfort in the joints. At Loyalty Fitness, you’ll find a scientifically proven method presented by professionally trained staff that guarantees results. Our program is not a one-size-fits-all fitness regime – we work with our clients to determine the best approach for whatever issues they face whether it be knee pain, back pain, or any other variety of ailment. Focusing on what works for the individual guarantees success. Loyalty Fitness provides a safe, effective, and evidence-based exercise program that is tailored to meet specific needs and goals. Don’t let knee pain stop you from moving! Even if you’re on the path toward a joint replacement, our fitness program can help. This month, we’re focusing on one of our successful clients, Marjorie Smith, who lived with knee pain for more than 20 years. 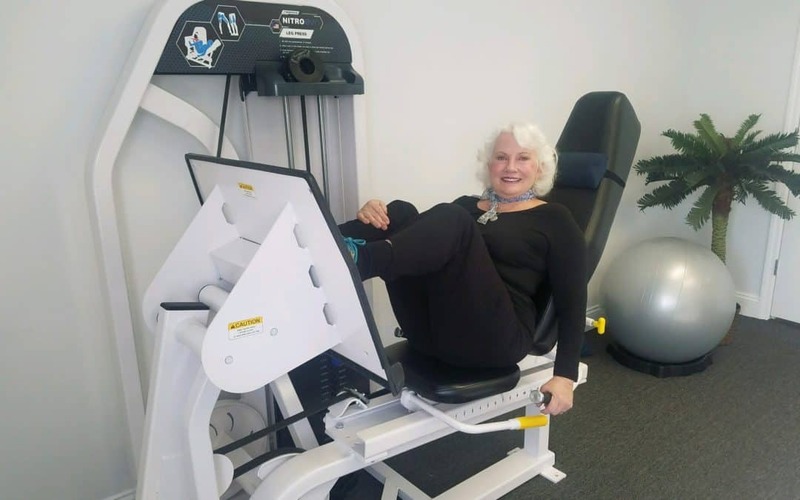 Facing a double-knee replacement, Marjorie came to Loyalty Fitness to get her body ready for surgery and after to rehab it. Make the choice to get your life back today. The road to living a pain-free life starts with one step. Let Loyalty Fitness help you rehab, strengthen, and regain control of your life!